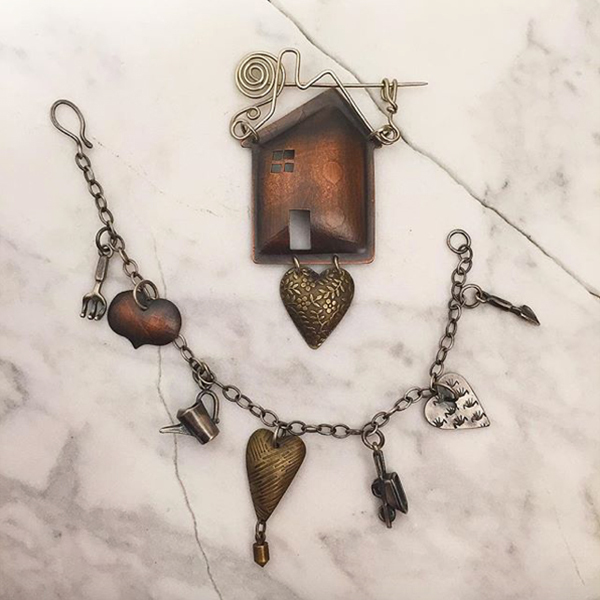 Melissa Lovingood – Heart & Home Brooch and Charm Bracelet of cooper, brass, and sterling silver. Etched and dapped, with playful spring gardening theme. Call for price.